HomeHeadphone ComparisonsSennheiser HD1 vs. Momentum 2.0 | RE-BRANDING? Sennheiser HD1 vs. Momentum 2.0 | RE-BRANDING? Before we get into this lightning fast Sennheiser HD1 vs. Momentum 2.0 comparison, grab a snack, sit back and relax because.. The Momentum 2.0 wireless (as well as the 2.0 wired) is the same headphone as the HD1. 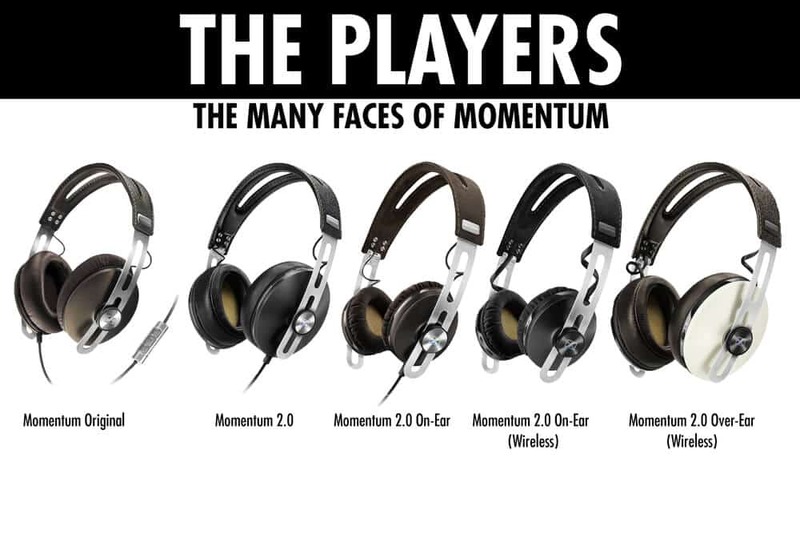 The reason it’s now branded as such is because Sennheiser does not own the rights to the “Momentum name.” That’s it! There are some different versions of the Momentum that you should know about. I would avoid the original Momentum’s, as the fit was a bit off and the sound overall was a little less defined and focused. The Momentum 2.0 improved upon all that: Comfort is a lot better, the mid-range is much improved, and the headphones are fold-able. There’s really no reason to purchase the original Momentum’s. Interested in reading some reviews on the 2.0’s? Well that’s about it for today my friend! I hope this short Sennheiser HD1 vs. Momentum 2.0 article helped you out. What do you think about the Momentum 2.0’s? Let me know! Questions? Comments? Requests? Let me know down below or Contact me, I would love to hear from you. Bose Quiet Comfort 35 vs. Beats Studio Wireless | HEAVY VS. LIGHT! HD 558 vs. 598 | THE BETTER OPTION? Sennheiser HD25 vs. Momentum | INTENDED USE?